Though difficult to think about, some day each of us will pass away and our loved ones will be left to pick up the pieces. Estate planning is the process of completing certain tasks in order to prepare an individual’s assets in the event that he or she becomes incapacitated or passes away. The plan details how someone’s assets will be preserved, managed, and shared after his or her death. These assets include things such as cash, stocks, cars and houses. The process of estate planning makes things much easier on your family and heirs. Writing a will is the most essential part of estate planning. A will is a legal document that serves to instruct how one’s assets and custody of minor children will be dealt with after his or her death. The document shares the individual’s requests and he or she appoints someone (an executor) to carry out the stated wishes. After the testator passes away, the executor named in the will must take the will to the Register of Wills of the county in which the decedent resided. The Register of Wills then officially appoints the will’s executor and that gives that individual the legal power to act on behalf of the deceased individual. If you do not have a will upon your death, you are considered to have died intestate and the state in which you resided will determine who receives one’s assets according to its laws. A trust can either become effective during one’s lifetime (Living Trust) or after one’s death (Testamentary Trust). It is an agreement that allows a third party to hold onto assets for the person that they are eventually meant for (the beneficiary/beneficiaries). Trusts don’t go through probate, so one’s beneficiaries may be able to obtain the decedent’s assets quicker than those who are receiving an inheritance through a will. They may also be able to avoid certain taxes if the trust is an irrevocable one. Revocable Trust: A Living Trust which can help assets pass outside of probate but allows the creator (grantor) of the trust to retain control of it during his or her lifetime. A revocable trust generally becomes irrevocable once the grantor has deceased. Revocable trusts are still subject to estate taxes. Irrevocable Trust: This trust usually transfers one’s assets out of the grantor’s estate and sometimes out of the way of taxation. However, once the trust has been executed, the grantor may no longer alter it. Irrevocable trusts are generally preferred over revocable trusts when a main goal is to minimize or avoid estate taxes. This is possible because the trust assets have been effectively removed from one’s estate. A person may execute a Durable Health Care Power of Attorney/Living Will for the purpose of appointing an agent to make one’s health care decisions if they are incapacitated or in any way unable to make decisions for themselves. The named agent is often one’s spouse, close family member, or close friend. Although the Durable Health Care POA gives an individual the autonomy to make the decisions that they believe are in your best interest, it is still good practice to speak with your health care agent and share your thoughts and wishes. It is recommended that every person consult with their primary care physician as well as an experienced attorney in order to ensure that they have covered all important decisions within each situation. A General Durable Power of Attorney gives a designated agent broad powers to handle one’s finances and property, which may include powers to sell real or personal property without advance notice or approval. However, the law requires the appointed agent to always act in the principal’s best interest, in good faith and only within the scope of authority granted by the principal in the power of attorney. In the event that one becomes incapacitated, having a properly drafted power of attorney in place may prevent loved ones from having to obtain guardianship through the courts, which can be a time consuming and costly process. Real Property: This refers to any land, minerals, or permanent structures. Personal Property: This refers to everything else besides real property such as jewelry, art, household items, cash, loans, bank accounts, insurance policies, securities and insurance policies, and automobiles. When it comes to property, its important to choose someone to administer property on your behalf according to your trust (trustee). They distribute property to those who are supposed to inherit it (beneficiaries). Often it is a good idea to appoint a successor trustee, someone who takes over for the assigned trustee should certain predetermined circumstances be met. Property goes through probate court in order to be properly transferred. Not all property must go through probate, but that which does, can potentially go through a long and expensive process. Property can be transferred as a gift or through a sale during an individual’s lifetime or after his or her death. Life insurance is a way in which death taxes, expenses, buy-sell agreements and fund retirement plans are paid. The ideal situation is to have enough insurance proceeds and properly structured policies, so that you are able to pay for any inheritance or estate tax on assets after your death without having to sell assets from your estate. Luckily, any proceeds from life insurance that are received by the beneficiaries of one’s will after he or she passes are usually inheritance tax-free. You may also want to consider your obituary. Your obituary traditionally includes your name, age, city of residence, survivors, and a short bio or description of your life. Sometimes it will include the location, date and time of the funeral, post-funeral events (e.g. location of shiva in Jewish custom), and weather you would prefer flowers or wishes for donations to specific charities of your choosing. While some people want others to write their obituary for them, sometimes people like to write their own or leave details as to how they would like their obituary written. Prepayment in lump sum: For this method of payment, you pay for the services upfront at once. Prepayment in installments: For this method of payment, you execute a payment plan over time with providers to pay for your services. Executor Directive: For this method of payment, you dictate in your will an amount of money that is set aside to cover your funeral arrangements and your executor (the person who carries out the wishes of your will) arranges to pay for your arrangements after the ceremonies. Nothing: For this option, you have likely spoken with the beneficiaries (recipients) of your will, and asked them to use some of their inheritance to pay for it. Death, although difficult to think about, is an inevitable part of life. By preparing a comprehensive estate plan you can help to prevent potential financial difficulties and its oft-accompanying family tension. Helping your loved ones to make final decisions for you on your behalf is truly one of the last acts of care that you can provide them. 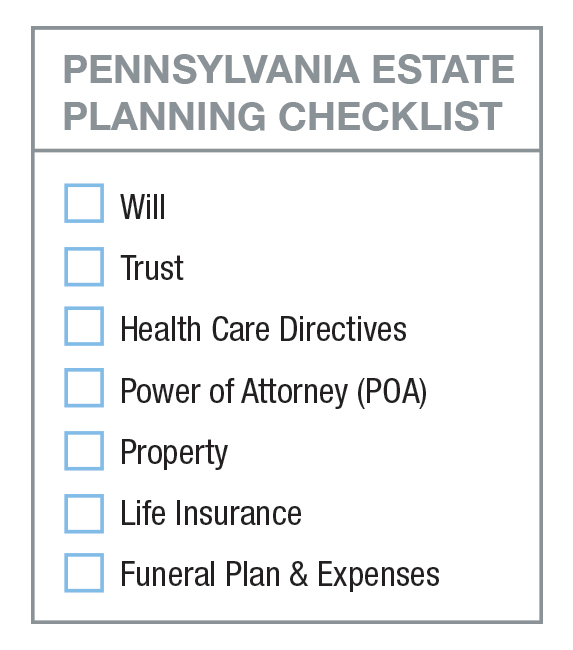 The attorneys at Raffaele Puppio are well-positioned to guide and assist those in need of estate planning in Pennsylvania. Contact us at 610.891.6710 to schedule an appointment.